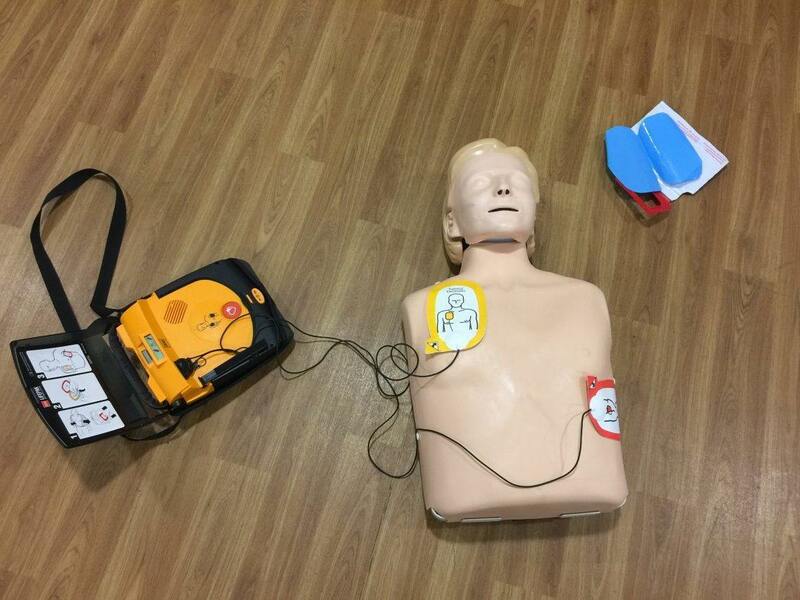 There was an excellent turnout for the CPR/AED training session held in the Pavilion on Wednesday. About 30 people attended the 2 hour demonstration which was both detailed and at times fascinating. 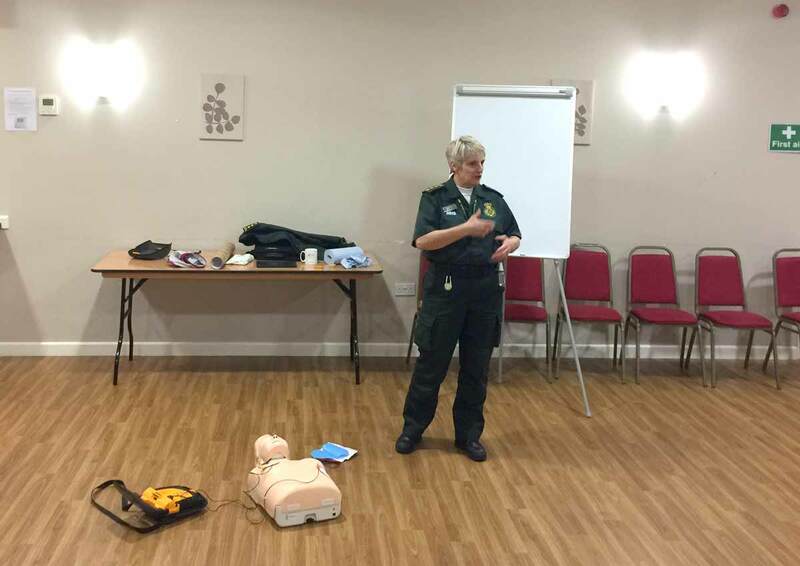 The session was presented by the Community Response Team at East Midlands Ambulance Service. 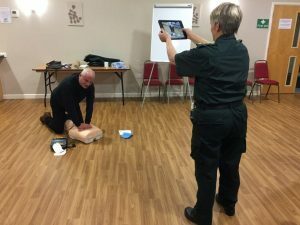 They began by explaining what happens when someone falls into cardiac arrest. They then went on to describe how prompt action can save that person’s life – first by administering CPR and then by use of the AED or Automated External Defibrillator. Titchmarsh’s very own AED was installed on the outside of the village shop towards the end of last year. 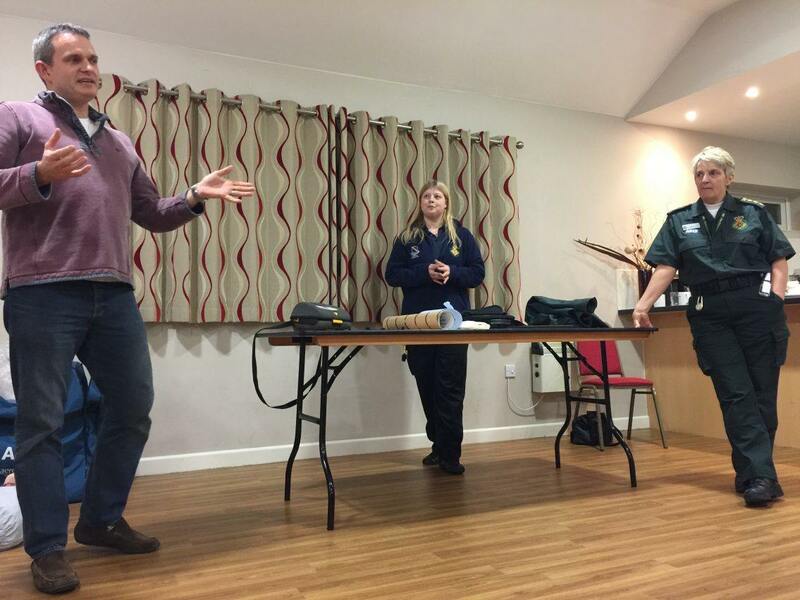 This was thanks largely to the efforts of the Titchmarsh PFA and it was the same team who organised tonight’s event. 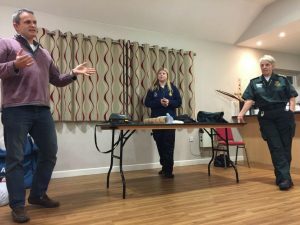 Many of the committee were on hand – most taking turns to supply the audience with teas and coffees – plus copious amounts of biscuits! 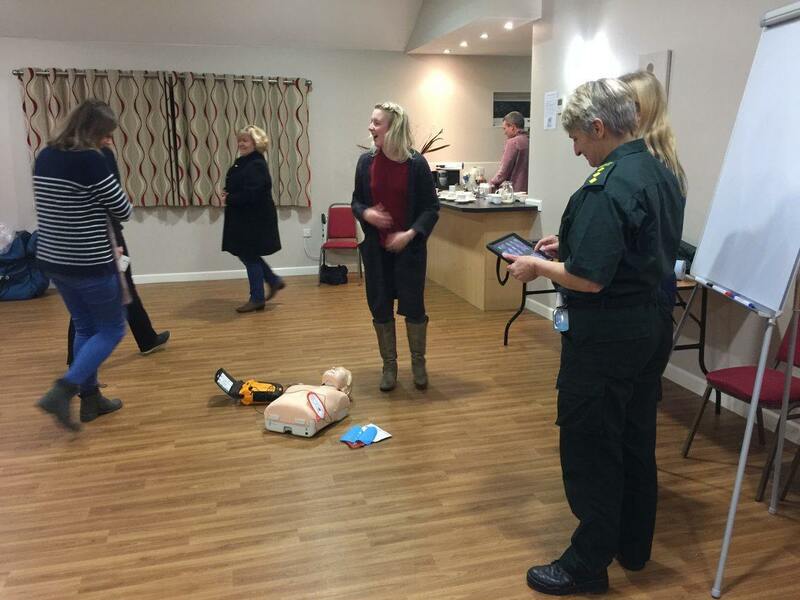 At the end of the evening people were given the opportunity to test their CPR skills on Dave the Dummy!